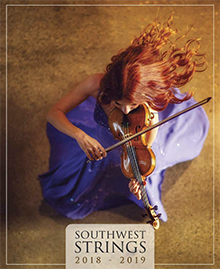 New and Used Violins - Southwest Strings offers fine violins for sale, either new or used. They also have a collection of vintage violins and musical instruments including cellos violas and the upright bass. If you are looking for student violins, kids violins or professional violins, they have the selection and expertise you are looking for. Cellos - Interested in playing the cello? Southwest Strings sells cellos and cello musical instrument accessories including cases, sheet music, music stands, strings and more. Violin Cases and Cello Cases - Find hard and soft cello and violin cases for sale to protect your new or used violin or cello. Violin Strings and Bows - They carry a full line of violin bows and strings. Find a new violin bow for sale, or replace the strings on your current violin, viola or cello. Violin Books - Learn more about your favorite instrument, or gain the knowledge to repair your own violin with their selection of violin literature. Sheet Music for Violins - Learn to play your favorite concerto with their sheet music featuring a diverse selection of songs from classical to contemporary. Vintage Violins - If you are interested in buying a classical vintage violin, Southwest Strings can assist you. They have rare and vintage stringed instruments in stock in their climate controlled warehouse. Violin Accessories - Southwest Strings is your online store for those hard to find violin parts and accessories. From chin rests to tuning pegs, they offer the best selection of parts and supplies.